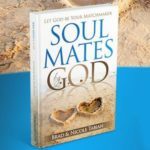 Does God have a custom-designed mate for you? Do you ever wonder if God wants you to get married? Maybe He wants you to remain single. Is it possible to know for sure what Godʼs will is for you? Even in the most perfect situation, God still wanted Adam to have a human soul mate. This was not an oversight by God that He had to correct after reviewing His creation. He had always intended for Adam to have Eve — just not right away. Marriage is Godʼs norm for mankind, remaining single is His exception. So how can you know whether you fit the norm or are an exception? Assuming there is no obvious reason requiring you to remain single, the following tests will help you gain clarity about Godʼs will for you. Throughout the Bible we read example after example where marriage is the pattern. But there are notable exceptions — Daniel, Jesus and Paul, — just to name a few. When you consider the exceptions, they have one thing in common. They were all set apart by God for special service that would not have been as possible with a spouse and children. As you reflect on your situation and apply Paulʼs advice, what is your conclusion? 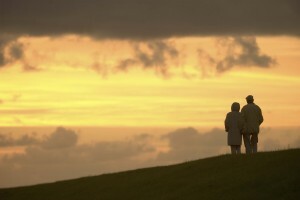 Do you believe marriage would make it easier for you to live a holy life and serve God better? Or would it distract you from you are serving Him? Your desires may also be an indicator of Godʼs will for you. Do you want to be married? If you have an obvious desire to be married, you need to determine if it is a godly desire that pleases God or a fleshly desire based on wrong motives. Are you delighting yourself in the Lord? Are you passionately yearning to know God better and to love Him more? Do you have a healthy fear of God demonstrated by your reverential respect for Him and hatred of evil? Do you want to please, obey and trust Him more? Is your heart centered on Him and His purposes? We were created to please God. The Holy Spirit is at work transforming our hearts so we will be more concerned about what God wants than what we want. When that happens, our carnal desires are replaced with sanctified desires — desires that please Him, desires that He wants to fulfill. On the other hand, perhaps you believe you have no desire to be married. If that is the case, make sure you are not suppressing or denying a desire because of fear, self-condemnation or self-centeredness. Some people live in denial of their true feelings. They will not admit they desire to be married because they fear inadequacy, disappointment and rejection. The risk seems too great. It seems safer to live without the possibility of marriage. Perhaps they live with suppressed desire as a form of self-inflicted punishment for mistakes they made. As a result, they have sentenced themselves to marital exile. Or maybe they unwilling to make any changes or adjustments required to accommodate a mate. They have created their utopian lifestyle and cannot imagine something better. What about you? Do you have a godly desire to be married? Or are you questioning if your lack of desire is really suppressed desire? Whatever your situation, commit it to the Lord in prayer. Ask God to change your heart on this matter if you are really misinterpreting His will for you. Then move forward by faith on the assumption that your evaluation is correct. As you do, watch to see what God does by confirming your conclusion or by changing your perspective. God has a wonderful plan for your life. He wants the very best for you — even considering the numerous ways you have failed Him or disappointed Him in the past. Are you willing to follow Him by faith and embrace the best He has planned for you? Trust God and move forward. Youʼll be glad you did.